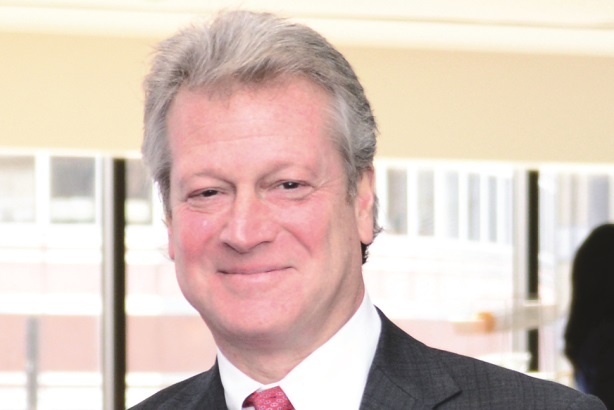 A healthy mix of extra work with existing clients and new business at Interpublic Group’s largest PR firm Weber Shandwick characterized 2013 for CEO Andy Polansky, resulting in organic growth of approximately 10%. Double-digit growth occurred in 23 offices, including Greater China, New York, Boston, Seattle, Canada, Brazil, Switzerland, and South Korea. One area that suffered was southern Europe, due to the difficult macroeconomic environment there, but Polansky believes this market has now "bottomed out." Weber opened new offices in Kuwait City in April 2013 and Istanbul in July. Globally, Weber now gets more than 50% of its revenue from clients across multiple regions: 55% of top 100 client work is across two regions, 35% across three or more. "A growing percentage of our clients, such as Nestlé, are headquartered outside North America," says Polansky. New-business wins included Abbott, Chobani, Getty Images, Kohl’s, TripAdvisor, and Burger King in the UK and Ireland. Organic growth came particularly from clients including Amazon, Bayer Group, Campbell’s Soup, Eli Lilly, Johnson & Johnson, Nestlé, Nike, State Farm, Unilever (especially on its Project Sunlight initiative), and Verizon. Polansky notes that Weber’s DC-based public affairs practice Powell Tate "ran counter to the market" and had a positive year. Its Bay Area-based tech practice also "prospered, for the first time in a couple of years." Healthcare grew substantially, partly due to a number of contracts for the Centers for Medicare and Medicaid Services to increase awareness about federally run insurance exchanges mandated by the Affordable Care Act. In February 2014, Weber lost its work with PepsiCo’s Mountain Dew brand to sister IPG firm GolinHarris. It also stopped working with Bahamas Ministry of Tourism, Zipcar, Partners Healthcare Systems, and Colt Telecom in EMEA. The agency launched a specialist content creation and distribution unit during the year, which, in addition to social and digital demand, fueled Weber’s success in 2013. "Mediaco was a big engine from the financial perspective, a game-changer that particularly fueled our success in consumer," says Polansky. He adds that Weber has recently invested heavily in content and, since 2010, has tripled the number of people it employs who focus on digital. "It’s up to more than 600 people and represents 30% of our business overall." Weber is also investing heavily in paid media capabilities and analytics, putting together teams of people with a diverse mixture of talent, including developers, media buyers, creatives, and tech specialists. Polansky highlights the engaging proposition of brand publishing and content creation in Weber’s progress in 2013. "Clients are increasingly looking to PR agencies for this type of work," he says. "Regardless of the environment, conducting engaging campaigns across multiple platforms has changed the game and the way we operate." These campaigns often involve Weber operating in partnership with agencies from other disciplines, especially within its holding company IPG. "We’ve always had close collaboration. There are lots of opportunities to get into conversations at the senior marketing levels of clients," explains Polansky. "It’s a highly dynamic environment and very competitive, but we see a lot of opportunities in it." Executive departures included Bill Reihl, EVP of the North American consumer practice, who joined Ketchum in July. Kris Garvey, EVP of consumer, moved to MSLGroup. In 2013, Weber promoted Frank Okunak to COO; Sara Gavin to president of North America; Cathy Calhoun to the new global role of chief client officer; Susan Howe to president of global consumer marketing; and Rana Komar to GM of the firm’s Chicago office. This year, Weber intends to continue to scale the business through its global engagements, content offering, and good geographical coverage. "We continue to see strong momentum in the early stages of 2014," says Polansky.